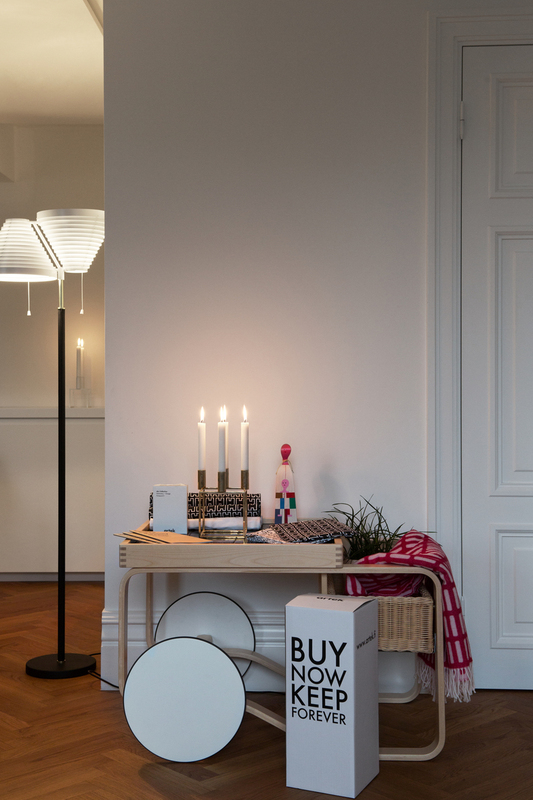 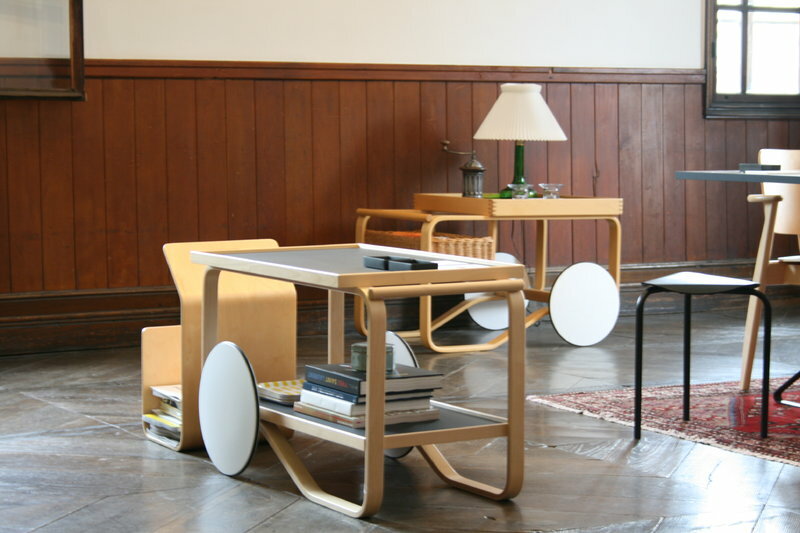 Tea Trolley 900, designed by Alvar Aalto for Artek, is a Finnish design classic with beautiful references to British tea culture as well as Japanese woodwork and architecture. Alvar Aalto created the tea trolley for the World Exhibition of Paris in 1937. Tea Trolley 900 consists of a bent birch frame, large plywood wheels, handmade rattan basket and ceramic surface of the tabletop. 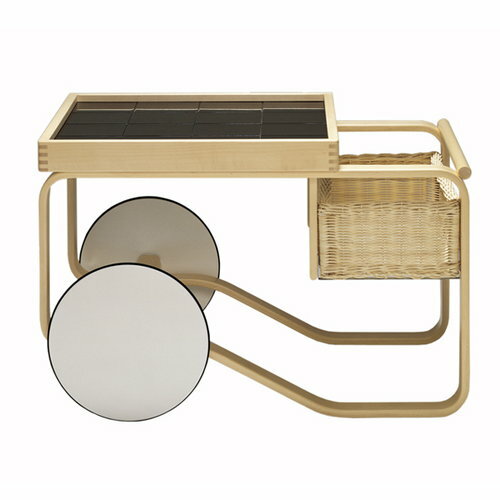 Aalto designed the Tea Trolley 900 for home use and it can also be found in the living room of Villa Mairea, the villa designed by Alvar Aalto.